Creative Imaginator is the company who work with passion and creativity. 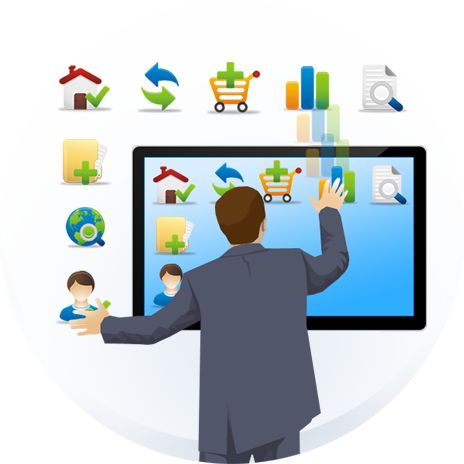 Web Portal development is one of our specialized working functions. We work on unique design and our design is on the behalf of search navigation, personalization, notification, information, collaboration, task management, application integration and business intelligence. We ensure about the balanced facilitate notifications and multi- channel consistency. We believe in long lasting relationship and you can easily find it in our services. Our services totally based on latest trends and our design as per the client’s expectation. Our professionals have deep knowledge of market and also guide our employee for the latest market changes. We are always tried to do something innovative and that’s the thing which makes our company different for others. Our thousands of projects is the victim of our services and Creative Imaginator is the fastest growing organization all over the world. Our team is limited but our success is beyond it. Join us and find the difference why our client joins us regularly.